Roberto Martinez has tipped fellow Wigan Athletic legend Shaun Maloney for a glittering career in the technical area on the eve of his first game as part of Belgium’s new-look coaching set-up. Maloney has replaced another Wigan hero, Graeme Jones, on the backroom staff of the Red Devils, who take on Scotland on Friday night in their first match since finishing third at the World Cup finals in Russia. 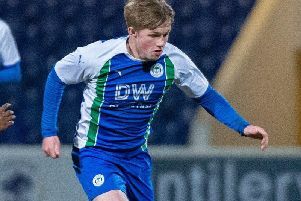 And Martinez, who brought Maloney the player to Wigan in 2011, is adamant the Scot has it in him to follow in the footsteps of Jones, who is now back in club football with West Bromwich Albion. “Shaun’s deep into football and his life is about football,” enthused Martinez, who earlier this summer signed a new long-term deal to stay on as Belgium head coach. “He is someone that I really enjoyed having as a player. “Already he’s brought something of his experience internationally and at club level. “That is very, very helpful for our players and our way of working. Martinez is without Premier League stars Kevin de Bruyne, Simon Mignolet, Marouane Fellaini and Christian Benteke for the game. With one eye on the future, he has drafted in the uncapped Timothy Castagne, Hans Vanaken, Birger Verstraete and Leandro Trossard. “It’s very interesting that a country of 11 million like Belgium, over the last 15 years, has created a really solid structure of developing young players with a lot of technical ability,” the Spaniard added. “And probably the strongest attribute of players is that they can go abroad and adapt to other dressing rooms and other leagues and develop in the process. “It’s a really good generation and a good moment to bring these players through.